We at 1 First Comics would like to thank everyone that participated in the contest. We understand how important it was to everyone, that a fair and equitable judgment system be in place. It was a very hard contest to judge and in many cases those who made the finalist spots, barely beat out those that were not. We received over 500 submissions and admire all the time and effort that you all put into the contest and want to encourage you to keep drawing and inking. 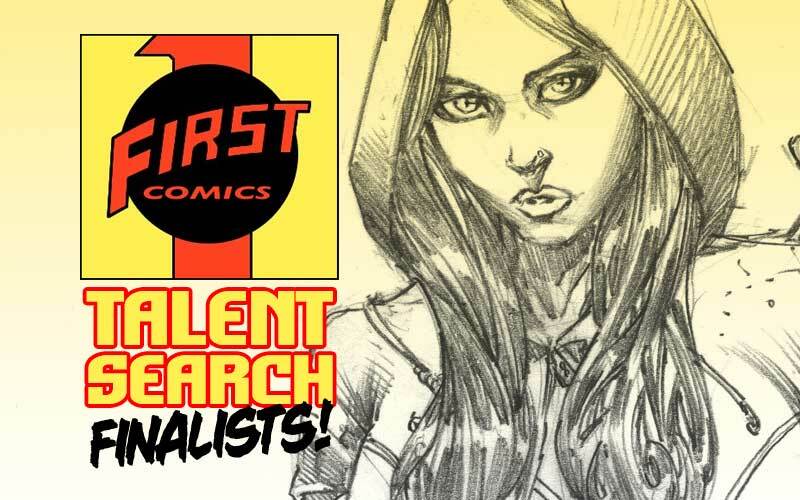 There are several contestants that did not make the finalist spots that we will reach out too (they were that close) to offer an opportunity to submit more pieces for future work. Those that fit this category will be contacted this week. 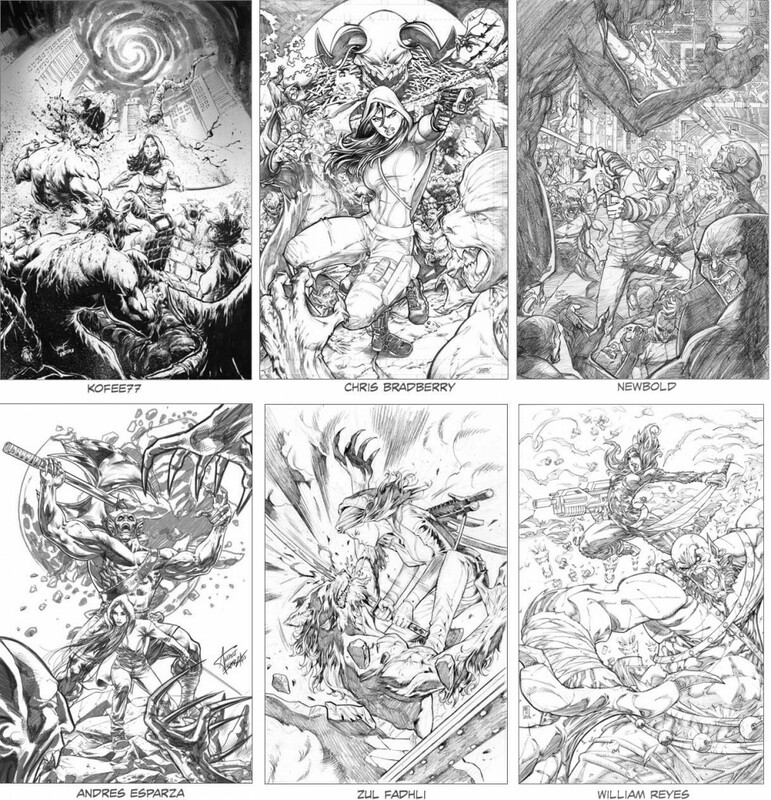 So, without further delay, these are the chosen six finalist for pencils and three finalist for inking. I would like to wish you all congratulations! Next, will be sequential work. Each of the 6 finalist will receive a two page script to be rendered within 72 hours. We will now be judging story telling capability and the ability to meet deadlines. If any of the six finalist do not want to move to the next step then they will have the option to opt out. They must notify us within 24 hours if they are choosing to opt out. Any candidate that opts out will be replaced by one of those that missed the cut of making it to the finals. 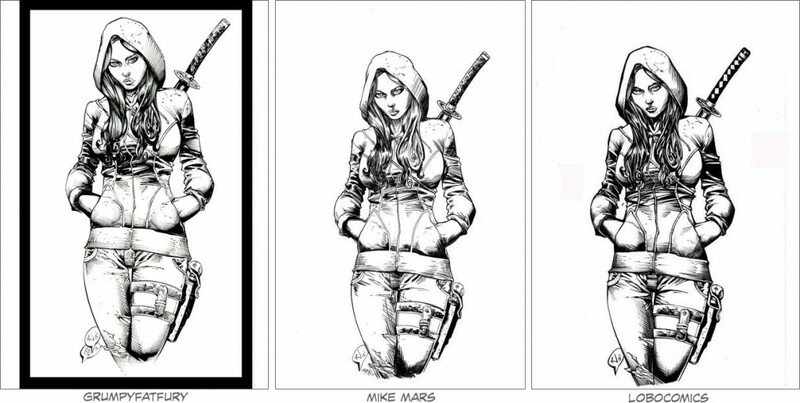 The three inker finalist will be inking two random pages created by the six finalist. Good luck to everyone! Tahniah L:obak. Anda memang hebat. Respect from Malaysia. where is the finalist from coloring? Thank you for the opportunity to try…congratulations to the “final 6” and good luck as you all move forward. I’ve narrowed it down to Newbold and Koffee77 and I like the subtle inks of Mike Mars. The guys picking the winner have their work cut out. Kofee77 & Bradberry ! Wow!